A transgender superhero rock opera, world champion gay ballroom, award-winning queer disabled dance pioneers, gender-bending dance-theater, trans comedy and more hit the stage at the 2018 FRESH MEAT FESTIVAL of transgender and queer performance — the nation’s most celebrated trans & queer performance festival (June 14-16 at Z Space, SF). Advance tickets are recommended for this very popular event. 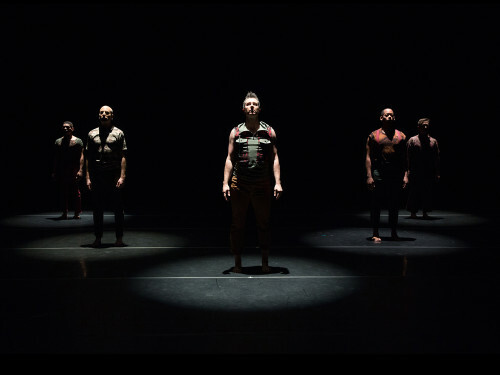 The 17th annual FRESH MEAT FESTIVAL features edgy, exquisite, extraordinary dance, theater and live music … and a cornucopia of regional and world premieres! These award-winning artists are offer loving, bold, beautiful artistry in creative defiance and joy. 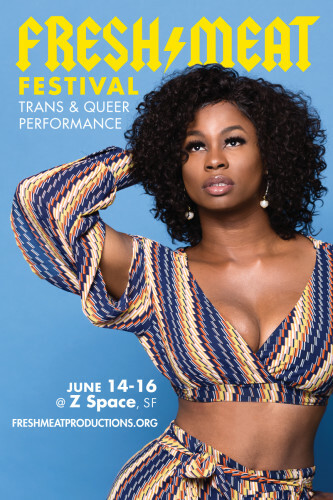 The FRESH MEAT FESTIVAL is a proud part of the 2018 National Queer Arts Festival! Read more about the Queer Cultural Center’s National Queer Arts Festival here…. Friday June 15 performance will be ASL interpreted by Pilar Marsh and Michael Velez; reserved ASL seating will be available. If you have questions or would like to request ASL reserved seating Friday June 15, please email: production@freshmeatproductions.org.